If the reports are accurate, it appears that Intel might have a pretty severe chip-level security bug on its hands that cannot be simply swatted away with a microcode update. 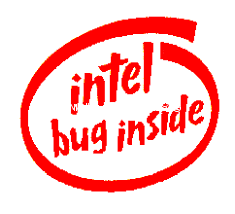 The bug affects all modern Intel processors dating back at least a decade. We should note that squashing the bug requires a patch at the OS level; and Linux patches have already been distributed (with redacted comments). Microsoft is expected to address the bug in its monthly Patch Tuesday update. The circumstances surrounding the exploit are currently under embargo, but some details are starting to make their way to the public spotlight, thanks to reporting over at Python Sweetness and The Register.